During 1914 a large number of the military were stationed at Belper and Derby. Fritchley Quaker, George Smith, had his motor-van commandeered but his refusal to be anything more than passive was treated with respect. 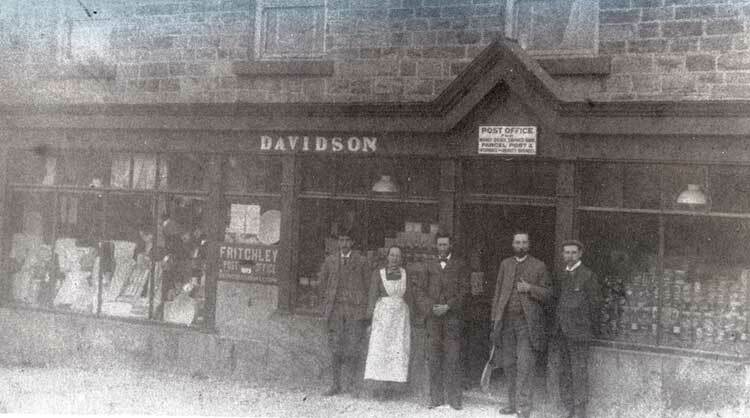 On the fifth of August 1914, a telegram was received by Thomas Davidson (Fritchley shopkeeper and Quaker) from Price Abell, the purchasing officer, informing him that he must send a horse to Ambergate that afternoon for War Office purposes. As he did not do so, that night a summons was served on him by John Hunter J.P. requiring him to appear with a horse the following day at Duffield. Accompanied by Edward Watkins and William Blair Neatby, Thomas Davidson appeared before the officers at Duffield and Edward Watkins handed them the following written explanation prepared by Thomas Davidson. To the magistrates or military authorities at Duffield. A telegram requesting me to send a horse to Ambergate was duly received and a summons was delivered to me last night by Sergeant Wyles of Crich, so my noncompliance is not the result of want of information but because I believe that all war and violence are contrary to the will of Christ and I desire at all costs to obey him. My horses are in the usual pasture fields near Fritchley and I intend to return home in a few hours and can easily be found at anytime ready and willing quietly to bear any results that may come from this non-compliance with your orders. I will neither move the horses out of your way nor keep out of it myself, nor in any way attempt to resist you in execution of your duty. I am the bearer of this to Duffield and will remain within call if you have any cause further to communicate with me now. Price Abell, the Purchasing Officer, treated the Friends with entire courtesy and seemed quite to understand the explanation given by Edward Watkins and informed Thomas Davidson that if they felt obliged to have one of his horses, they would come and fetch it. Respect for the peace loving Quakers of Fritchley, led in some measure to the fact that Fritchley Meeting House was not commandeered by the military.